Mold Problem in Metairie? Call SERVPRO for Remediation "Like it never even happened." Typical weather conditions in Metairie can place homeowners at risk of mold growth and subsequent damage. 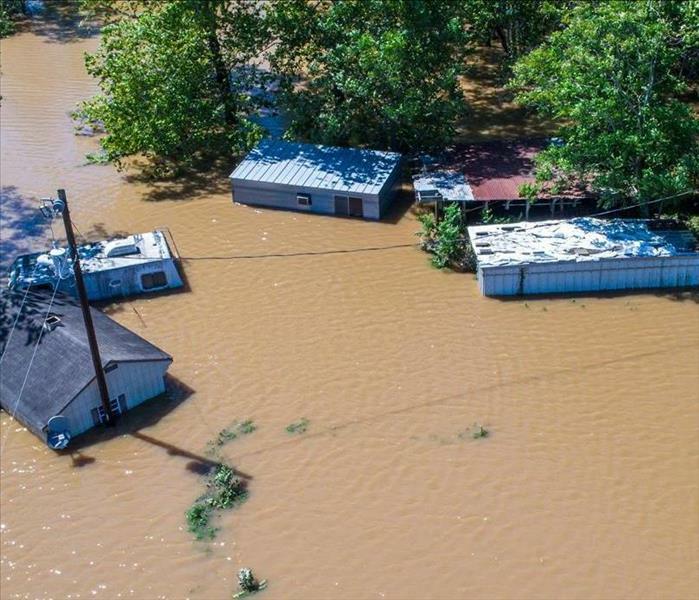 Seasonal weather patterns, including hurricanes and tropical storms, increase the potential for damp and possibly flooded conditions within local residences. 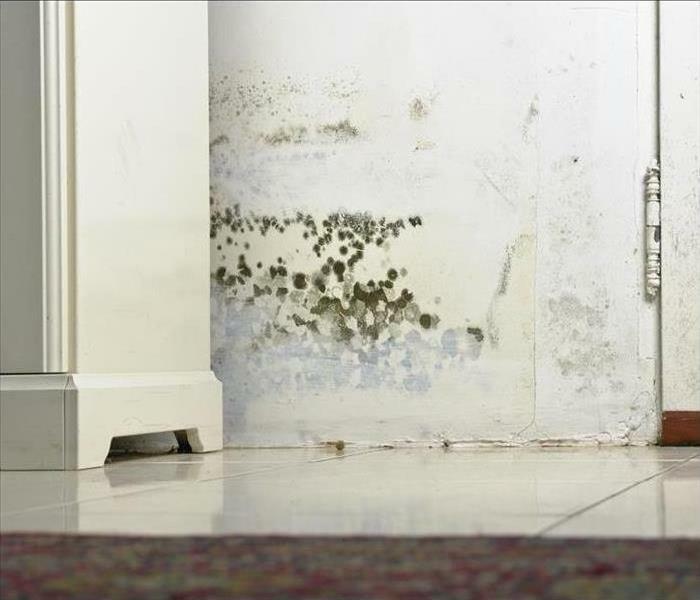 We frequently see mold proliferation because of these circumstances, but we have strategies to remediate any mold growth that occurs and to combat the wetness fueling it. Mold damage remediation in the Metairie area is a commonly requested service for our restoration business. The community’s location near Lake Pontchartrain exacerbated by the yearly average of over 70 percent humidity makes for very moist conditions even without severe weather. Mold spores grow within 24 to 48 hours when they absorb water, and the moisture necessary does not need to be in puddles or droplets. Water vapor in the air of your home exceeding 60 percent humidity is enough to start a mold colony on a steep growth curve. SERVPRO follows EPA guidelines to contain and remove active colonies, using physical barriers and professional equipment like negative pressure air scrubbers to filter and vent airborne mold particles. Mold spreads quickly when disturbed, and we counsel our customers to seek expert assistance rather than use do it yourself remedies. Our technicians employ proven EPA registered disinfectants to sanitize areas cleared of mold, and HEPA-equipped vacuums to eradicate lingering particles on surfaces. Our SERVPRO mold remediation team trains not only to locate, but also contain, and remove the microbial infestations endured by our customers. We work relentlessly as well to find the source of moisture and offer practical and effective advice on how to minimize water in any form so molds cannot continue to grow. Roofs and gutters contribute to excess moisture if not in good repair. Even tiny plumbing leaks can mean significant mold problems if ignored. Flooding events after major storms must be remediated fast, or the mold grows within just a couple of days. High indoor humidity must be lowered and then maintained at 45 percent or less for the best outcome per our training and experience. 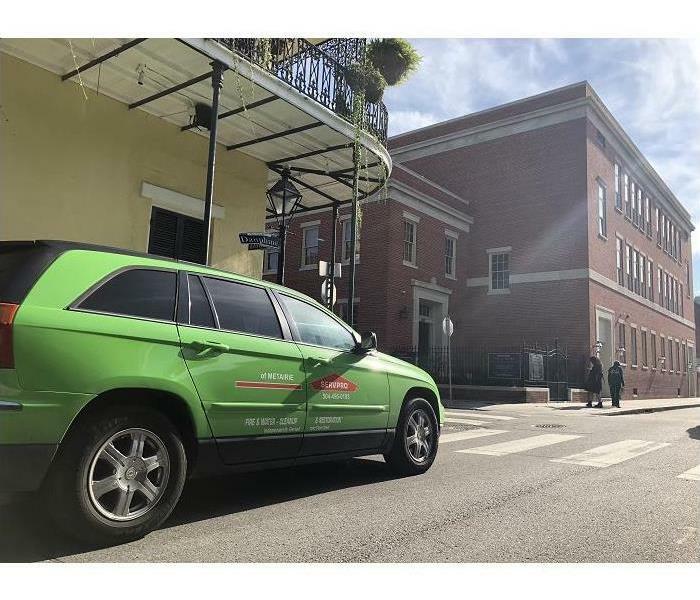 SERVPRO of Metairie employs only thoroughly trained mold remediators and uses the industry’s best practices to remediate and then help prevent future mold growth. Call us at (504) 468-3046 for a consultation with one of our expert mold abatement specialists. More about this New Orleans suburb by clicking here. Call us at (504) 496-0193 for our 24/7 response. When a Metairie business has its own housekeeping staff, it is tempting to try to manage fire-related cleaning in-house. Making that decision is unwise as the cleanup of fire debris requires specialized training and equipment. Our crew completed multiple IICRC courses that support our efforts to get your hotel fully booked fast. The soot and smoke left behind in your Metairie hotel after a fire is highly toxic. Your promise to your guests is a clean and safe environment to rest and recreate, free of residues that irritate or endanger. Although your cleaning crews deliver top-notch day to day housekeeping services, our team of professionals is needed to assess this situation rapidly. We are uniquely qualified to plan an efficient turn around from a bleak and sooty ambiance back to a crisp and fresh feel. Fire damage scenes also present complexities not seen in regular hotel cleaning. For example, the first steps in a hotel fire damage abatement project are often water removal and structural drying. These preliminaries link to the firefighting efforts. SERVPRO is a full-service disaster restoration company, so we can move from one remediation task to the next in a streamlined manner. We have the equipment on each signature green truck and the know-how on each crew. If the fire was confined to one area of your hotel, SERVPRO makes every effort to contain our response to the fire-damaged space, allowing business to proceed as usual in affected portions of your hotel. To prevent the spread of odors and debris we use physical barriers and innovative equipment like negative pressure air scrubbers to filter and vent contaminants. SERVPRO evaluates the type of soots deposited in the fire-damaged areas. We match products, tools, and methods as we investigate. Your housekeepers likely would use cleaning approaches that worked for normal soiling, risking making matters worse. We also have deodorization specialists available to clear the air effectively, so important when guests expect a comfortable experience. Let SERVPRO of Metairie assist with a professional approach to fire damage remediation. Call us at (504) 496-0193 for our 24/7 response. Home cooked dinner gone wrong? SERVPRO can help you restore your Metairie home fast and effectively. Even a small fire can leave your property looking like a warzone with partially burnt items strewn all over, and smoke residues or other forms of soiling on different surfaces. Luckily most fires are put out before gutting the entire structure. However, this leads to significant cleanup and restoration work before normalcy returns. Salvaging some materials and contents of the house can help reduce the total restoration cost. Proper inspection of items and using advanced restoration techniques help in the salvage process. Our SERVPRO team separates items into groups of salvageable, unsalvageable and questionable items. We clean salvageable items on site and move the questionable ones offsite for in-depth inspection and cleaning. We use electronic CCIS, Content Claim Inventory Service, which helps keep better track on contents and return them to their original location in the house after restoration. Water-related problems such as mold infestation can develop soon after a fire incident because of the water used to put out the fire and in the cleanup processes. Drying off excess moisture helps prevent these problems. Our SERVPRO technicians use different moisture detection tools to determine which drying processes are necessary. Thermo-hygrometers help establish the levels of relative humidity in affected and unaffected areas. We also use moisture sensors to probe materials and determine the level of moisture they hold. We then use air movers and dehumidifiers to dry them to preloss state. 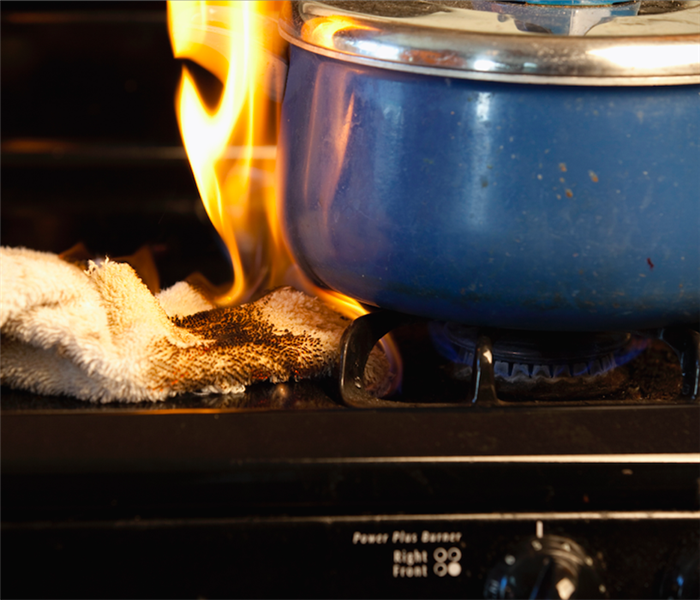 In case of fire damage, call SERVPRO of Metairie to help restore normalcy. You can reach us at (504) 496-0193 any time. In an emergency, contact SERVPRO of Metairie at (504) 496-0193 for immediate assistance. A nearby road overflow can cause significant issues in the ground levels of your property — heavy rainfall results in sewer systems backing up and overflowing with contaminated Black Water. Due to the potentially harmful effects of Black Water, it is essential to hire a professional, qualified technician to help repair and restore your property safely. Indeed, many of your possessions can be salvaged by using professional cleaning equipment promptly. Where the is Flood Damage in Metairie homes, the likelihood of contaminants being spread around the home is high. In the circumstances, it is not uncommon for our technicians to wear Hazmat suits to protect themselves from pathogens during the cleanup operation. We may also have to remove sections of drywall to clean in and behind walls, floors, and fittings. Left behind debris is not only odorous but have the potential to be harmful if not dealt with thoroughly. For owners who find themselves in this position, it is only natural to immediately assume the worst, especially where personal possessions are concerned. Here at SERVPRO we always work with a restore over replace mentality. Unlike other providers, our services are geared toward salvaging as much as possible. We enable our technicians to achieve this by providing them with state-of-the-art cleaning equipment and technology. We can assess items immediately on site to decide which possessions are salvageable and which need disposal. Generally speaking, porous materials absorb black water making them exceptionally difficult to clean; this could include your carpets or curtains. However, where they are valuable fabrics, we can send them to a specialized facility for mechanical cleaning using Esporta washing machines. These equipment are expensive because they are advanced. However, SERVPRO provides technicians with everything they need to restore items rather than replace them. Floods are considerable emergencies which is why SERVPRO training involves a rapid-response unit as well as a 24-hour emergency call line. Our skilled specialists are local to the area and can reach you fast to help mitigate loss and reduce the risk of permanent damage. 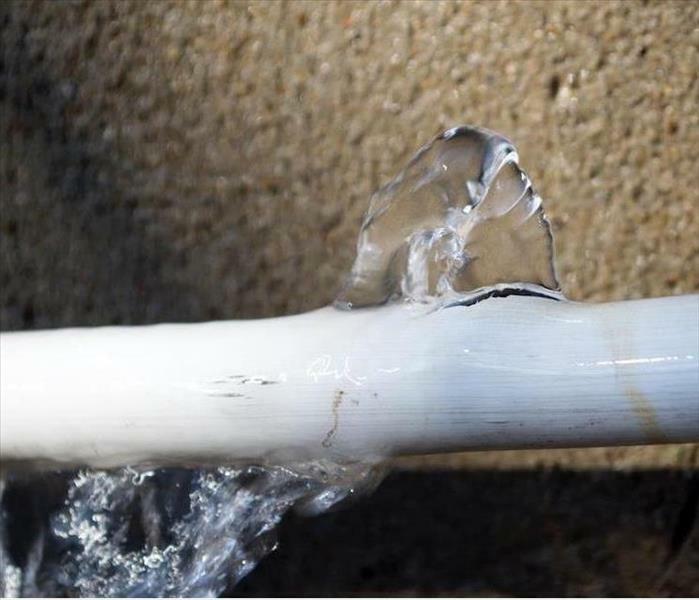 When pipes behind walls burst, the water can gush into your home at a fast pace. Call SERVPRO for water removal and remediation services. When a broken pipe happens inside your home, water coming out in a steady stream floods the area rapidly. Lost water like this can evaporate fast enough to cause other problems inside your home in Metairie. High amounts of water vapor can lead to a range of issues, from microbial infestations to loosened wall coverings. We help property owners stabilize their home's humidity levels, which can prevent water damage in Metairie from developing. We use thermal imaging equipment to locate water leaks, trapped water, and areas with higher-than-normal amounts of moisture content. Our drying equipment includes pumps of different sizes, air movers, desiccant machines, and dehumidifiers. Air scrubbers also play a role in making your home secure again, "Like it never even happened." 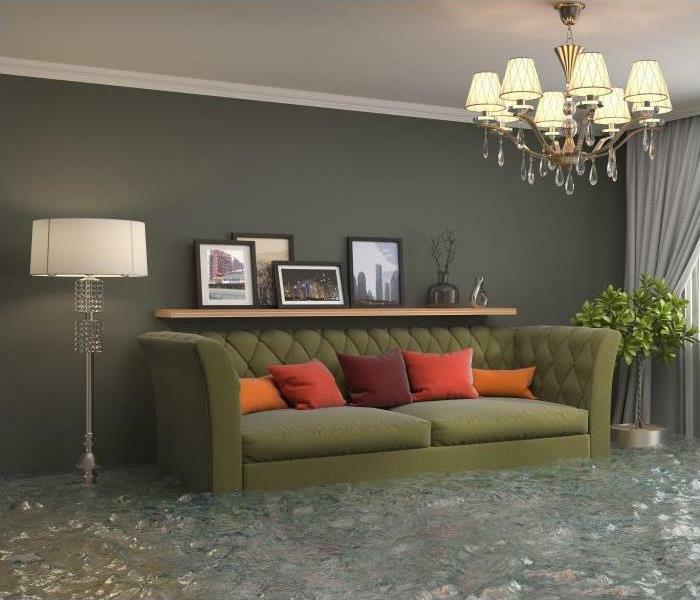 Water damage that occurs after water loss events can happen anywhere inside the house. Water does not stay confined to only the area where the pipe broke. This is why we use thermal imaging equipment in looking for damaged areas that might remain undetected otherwise. Peeling paint on ceilings is more evident than mold hidden inside wall spaces and under cabinet bottoms. However, both need mitigation and cleanup work to keep your home healthy. When homeowners call us immediately after an incident, we can extract the water and completely prevent water damage from spreading to other areas of the home. This process may seem highly intensive, but we must ensure that we extract the water as it spreads. Water travels to drier locations steadily, but extraction efforts can significantly slow this down. Extracting water is only part of the work, and we set up the other machinery to ensure that water cannot settle in any location. Trapping it as either a liquid or as vapor in the air re-establishes dry conditions again. When a slow leak and not a broken pipe with sudden water loss caused the problem, we use similar methods. Either way, we restore dry conditions that protect your home from the effects of water damage. SERVPRO of Metairie performs both preventative work against water damage and mitigation where current damage exists. Contact us for more information by calling (504) 496-0193. Our services line is always available, day or night, year-round. 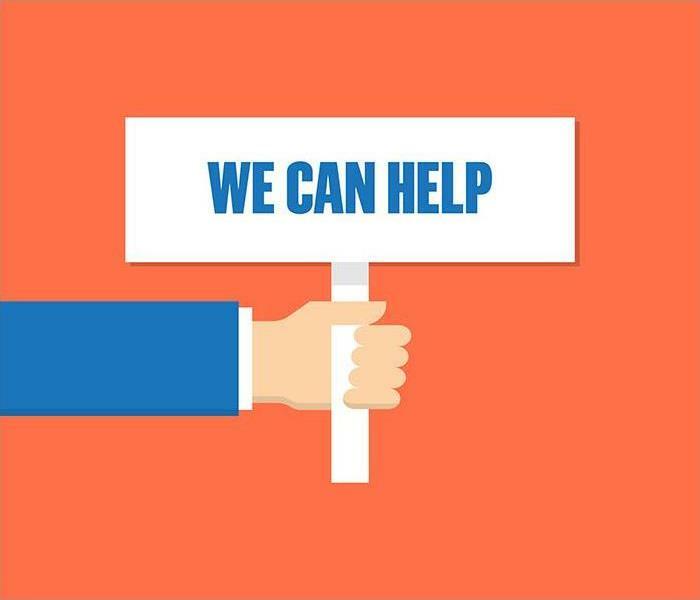 Our experts are available and ready to restore your home after a fire. If you are wondering WHY SERVPRO is the ideal place to get help after a fire damage experience, then we have the fact for you. 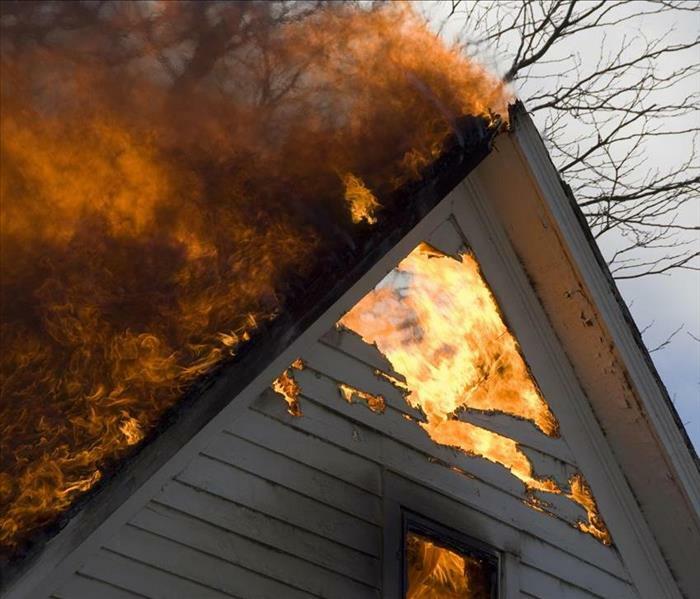 Restoring your home after fire damage can certainly be a daunting task. For that reason, the services of our experts come in handy towards ensuring that your property is in better shape after the disaster. To ensure that you enjoy the best service, we have an able team of highly skilled and experienced technicians. Besides, our technicians are equipped with the latest equipment to enable them to complete the restoration process impeccably. We strive to return you Metairie property to its preloss condition. At SERVPRO, we believe no fire damage event in Metairie is too big or too small, so we give each incident the seriousness it deserves. That has seen us successfully restore numerous properties that have experienced fire damage. Our capacity as one of the leading service providers can be attributed to our excellent service delivery. Our professionals are always ready to provide solutions to each problem. Moreover, our technicians possess the necessary skills that help us to provide satisfactory restoration services – which is made possible by the regular training we attend to ensure our service delivery is in line with the latest trends. Being a revered restoration company, SERVPRO adheres to the recommended restoration practices to keep our service delivery strictly professional. 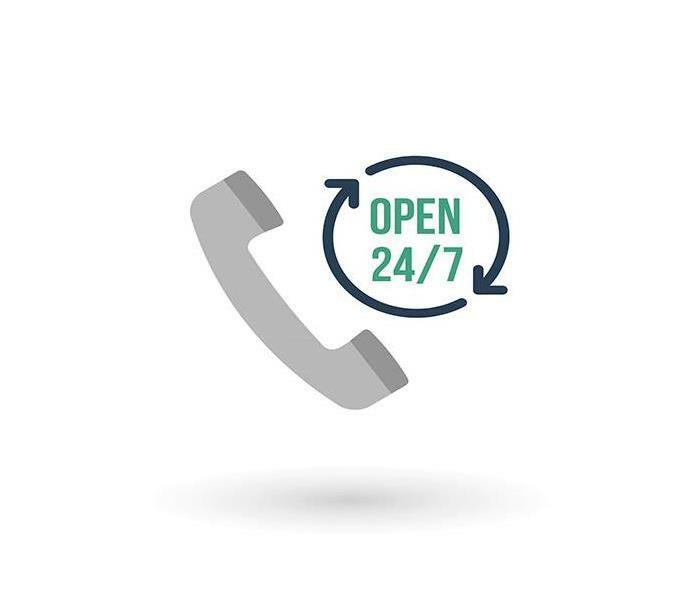 Our services are readily available round the clock, and this is possible courtesy of our 24-hour services. Also, our services are available to both commercial and residential properties. We have a large team and enough equipment to deliver the best services irrespective of the disaster size. SERVPRO of Metairie is no doubt the best bet when it comes to restoring your property after it experiences water, fire, mold, or flood damage. Contact us at (208) 466-5000 at any time of the day and have the problem fixed. Explore the Garden District click here for more information. 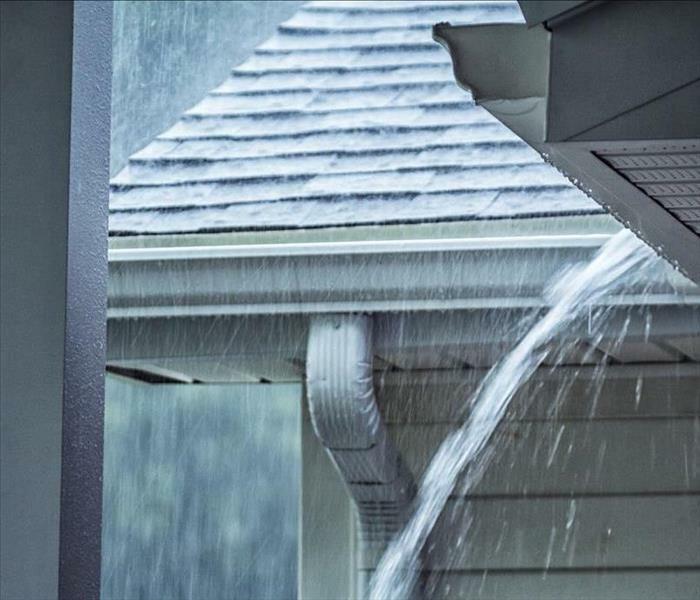 Flooding of gutters can cause water damage inside your home. Crawl spaces serve an essential purpose because of the convenience they offer in housing electrical wiring, plumbing lines, and heating and cooling systems. Water presence in crawlspaces can present many problems including mold development, and deterioration of the foundation. Removing such water is difficult because of the limited room to maneuver, or place equipment. We offer professional restoration services to help you deal with the damage in your Metairie home. The process of water removal from your Metairie crawlspace depends on how the loss happens. Likely sources of water in these spaces include seepage through the foundation walls, vents, and uncovered soil, as well as leaks in the plumbing systems. Leakage from plumbing lines and flooding from gutters leaves standing water, which requires extraction before taking other measures to dry the area. Our SERVPRO technicians look for the lowest point in the area and use a submersible pump to extract the water before taking other steps. After removing the pool of water, it is also vital to dry any excess moisture because it can still cause mold and other water damage problems. Our SERVPRO technicians check the area to determine the best option to dry the moisture. We can seal off foundation vents, then place dehumidifiers and air movers in the space to dry excess moisture. In case the equipment cannot fit, we can use flex hoses as ducts to move air from the dehumidifier to the crawlspace. We monitor the relative humidity continuously using moisture meters and thermo-hygrometers to ensure the drying process is effective. After removing the water, it is essential to take measures to prevent the problem from recurring immediately. In case of plumbing leaks, sealing or replacing the damaged pipe solves the problem. However, if the water originates elsewhere, the problem can be more complicated. Our SERVPRO technicians can use different techniques to solve the problem. Encapsulation provides a vapor barrier preventing moisture from seeping in. We can also clean up gutters and redirect downspouts to prevent flooding. Excess moisture in the crawl space presents many problems including poor indoor air quality. Call SERVPRO of Metairie at (504) 496-0193 to help dry your home. We're Faster To Any Size Disaster. Spend the day at the National WWII Museum click here for more information.